The Nova NVS system is defined by its soft beveled edges on the shutter box. The body is made of extruded aluminum and therefore both good looking and tough at the same time. 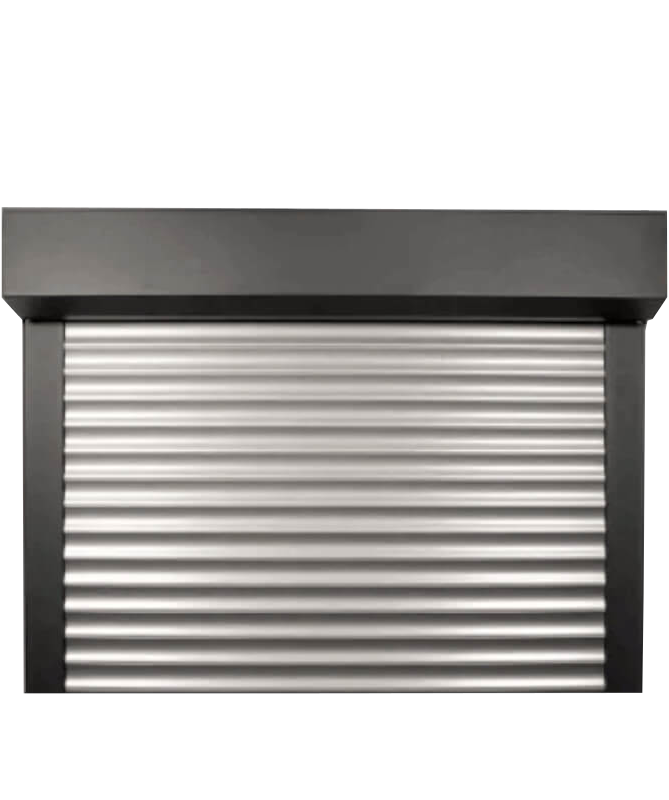 The innovative Quadro design features an anodized roller shutter box made of extruded aluminum making it extremely weather resistant and practically maintenance-free. The Nova Round features a unique rounded design for those wanting something more than the standard rectangular shaped boxes. Made of tough extruded aluminum and able to be painted in any RAL color, the Nova Round provides a nice accent to any facade. While front mounted shutters are visible by design instead of hidden in the facade, many architects and decorators have found this to be a hidden opportunity. The shutter box as well as the individual slats themselves can be painted or decorated in a variety of colors to add new accents to your facade and give your home a new look. We offer roller shutters in your choice of RAL colors. If you'd prefer that the shutter box blend in with the facade, we offer options that can be plastered over to match and disappear in the facade, appearing as nothing more than a small awning over the window. For those in warm climates or even just during the summer, adding integral bug screens allows you to easily keep windows open during the day or night without worry about mosquitoes and other bugs finding their way inside.